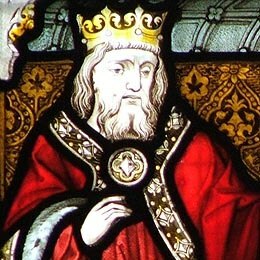 Anglo Saxon – Norfolk Tales, Myths & More! 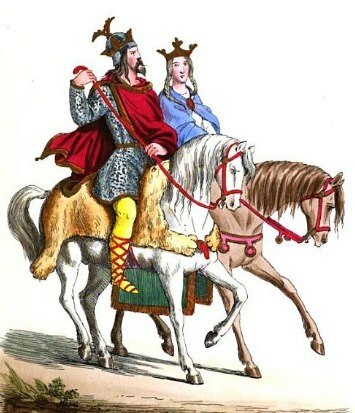 Wessex Kings and Queens 519 to 927AD. 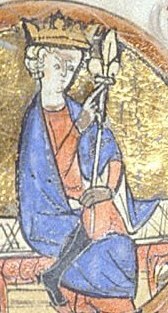 Author norfolktalesmythsPosted on March 22, 2018 May 10, 2018 Categories 10th Century, Anglo Saxon, east anglia, Historic Tale, WessexLeave a comment on Wessex Kings and Queens 519 to 927AD. In the superstores of the Norwich Museum Service they have objects related to Norfolk that cover a huge period of time, but predominantly they house a social history collection related to Norwich. The objects they have help to tell the history of Norwich and its people, it is a history, lasting at least 1600 years. I wondered if I could condense 1600 years into a single blog? I have tried and the answer is No! I will instead attempt to fit as much as possible into two blogs, so here is the history of Norwich Part 1…… Here, I am going to focus on 10 key events or periods that were crucial in shaping the city we know and love today. I will take the time to highlight objects from our stored collection in the superstore and across the museum service as a whole that relate to each period. 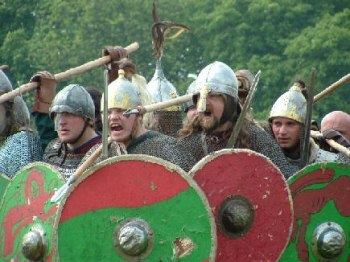 The arrival of the Anglo-Saxons represents the very start of the history of Norwich. During the Roman period Norwich was likely to have been little more than a cross roads, situated in the Tombland area of the city, with at most a farm and a few houses. The major Roman settlement was called Venta Icenorum and was situated a few miles to the South of modern day Norwich. 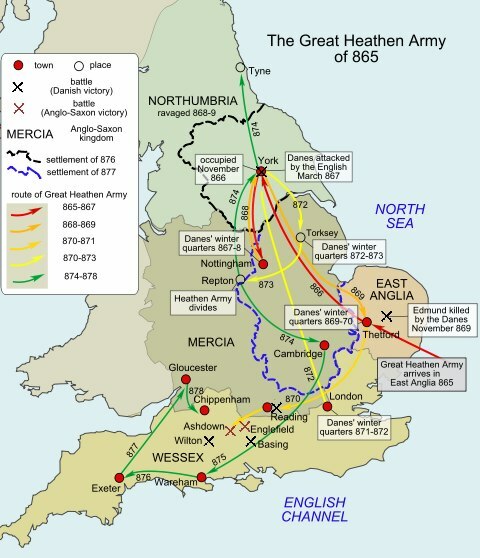 Saxon incursions into East Anglia and their eventual dominance over the Romans in the early 5th century AD, led to the first settlers in what we now know of as Norwich. One of the ‘Star’ objects – A Saxon Pot, excavated from Spong Hill, North Elmham, Norfolk. It was an ideal place to build a settlement; the river afforded the settlers easy access to the sea as well as the ability to secure food from fishing. The soil was of a good quality for agriculture and there was a ready supply of good timber. It is important to remember that Norwich did not start as one settlement, in this period it was 5 or 6 villages that eventually merged into one. The name of one of these villages was Norwic which became the name of the city that developed. The Norman Conquest of 1066 had drastic implications for the country as a whole; this can be seen in Norwich where it certainly left its mark. Any visitor to the city cannot fail to notice the Cathedral which at 315ft is the highest building in the city, nor can they fail to spot the Castle sitting atop its mound, still dominating the city skyline over 1000 years after it was built. 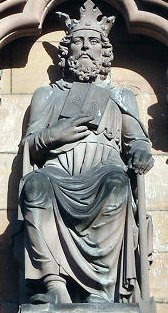 The building of the Cathedral was the initiative of the first Bishop of Norwich Herbert Losinga, who came to Norwich from a monastery in Normandy. 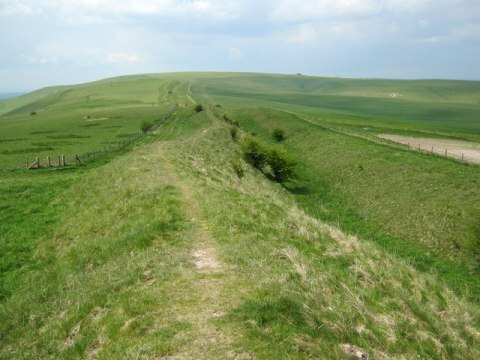 It was probably built over a previous Anglo-Saxon settlement and Roman road. 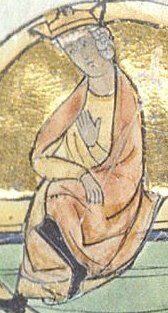 Work commenced in 1096, but was incomplete at the time of Losinga’s death and his successor Bishop Everard oversaw the completion of the work. The present spire is the Cathedral’s fourth the first was destroyed in riots in 1272, the second in a storm in 1361 and the third by lightening in 1463. The Castle would originally have been built of earth and wood, the stone building dates from the late 11th century or early 12th century and is one of the largest Norman keeps in England. 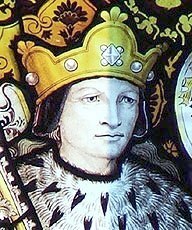 The Normans used massive amounts of peat for fuel, this was dug from various locations in Norfolk. The removal of this peat created large craters in the ground (the Cathedral took 320,000 tons a year!) this coupled with a rise in sea levels led to the formation of the Norfolk Broads. Work begun on the city walls in 1297, but it was not until 1343 that construction was complete. The walls were 3ft thick and 20ft high with battlements, in front of the walls was a bank and a ditch. The ditch was 25ft deep and 60ft wide and offered further protection. The walls acted as an important part of the cities defence, it was beyond the capabilities of the authorities to maintain law and order everywhere, but within the city walls their power could be exercised more easily. Towards the end of Riverside Road and across the Wensum sits Cow Tower, this played a pivotal role in the defence of the city, (it was partly destroyed during Kett’s rebellion.) Another ruined tower and section of wall is visible further along Barrack Street, then at the end of Magdalen Street and opposite the Artichoke pub there is small section of wall remaining. Over 800 years after their construction the city is still defined by its walls. If you mention that something is within the city walls to a local, they will instantly know the geographic area you mean. Despite the wall only surviving in fragments and not being a continuous structure it still persists as an invisible demarcation of what is in the city centre and what is outside. The history of mankind is a history of rebellion, from the peasant’s revolt, to the French Revolution and even recent events like the springs in the Middle East have seen people who believe they are being oppressed revolt against their oppressors. Perhaps the biggest such occurrence to ever hit Norwich was Kett’s rebellion. It started in the summer of 1549, as a minor disturbance in nearby Wymondham, but spiralled into a sequence of events that led to a national crisis for King Edward VI. Peasants begun pulling down fencing around enclosed fields (the process of enclosure involved taking away common land and physically enclosing it for exclusive use by the landowner). One local landowner (John Flowerdew) alarmed at what was happening and fearful for his own land bribed them to attack his rival Robert Kett’s fences. This backfired drastically as Kett joined the protestors, helping them rip down his own fences before leading them to attack Flowerdew’s. 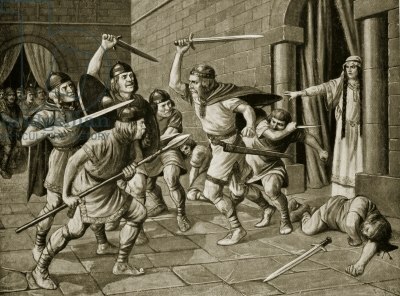 Kett then marched the growing army of men (10,000) to Norwich, where they were refused entry. So they camped on Mousehold Heath for 7 weeks. Kett and his advisors produced a document entitled ‘29 articles of complaint, concerning economic matters’. It included one particularly revolutionary statement asking that ‘We pray that all bonded men may be made free’. Although serfdom had been largely in decline in England since the Peasants Revolt, the final serfs were not freed until 1574. Despite being offered a pardon in exchange for dispersing Kett’s men raided the city, imprisoning the mayor and 5 other leading citizens. The government responded by sending 1,400 men and a battle was fought at Bishopgate in the full glare of the Cathedral on the 1st August. The government troops were forced out of the city and for that day at least Kett was victorious. At this point many of the cities nobles fled to London with the retreating army, leaving Kett in total control of the city. Clearly the government could not let this situation persist, so they sent a huge force of 12,000 troops and before August was over the rebels had been forced out of the city. From Mousehold Heath Kett’s men attacked the city from the top of what is now Gas Hill, partially destroying Cow Tower. Finally a further retreat to Dussindale saw them defeated by the government troops. 300 men were executed and Kett himself was captured in Swannington 25 miles to the north of Norwich. Both Robert Kett and his brother William were sent to face trial in London, where they were kept in the Tower of London. The trial was a formality and they were both found guilty. Robert Kett was hanged from Norwich castle with his body left hanging for months as a message to would be revolters. His brother William Kett suffered a similar fate being hanged from Wymondham Abbey and left for all to see. For hundreds of years Robert Kett was portrayed and remembered as a traitor, but during the 19th century his reputation received a reprieve and people begun to increasingly think of him as a folk hero rather than a traitor. 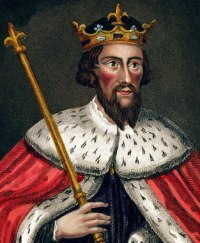 This is the reputation Kett retains today, a hero who stood up for the common people of Norfolk against the oppression of the ruling elites. To find out more about Kett’s Rebellion, why not visit his home town of Wymondham when in town? Visit Wymondham abbey where Robert’s brother William was hung (the Kett family coat of arms is displayed inside) and visit Wymondham Heritage Museum for displays relating to Kett’s rebellion. In 1565 the areas that are modern day Holland and Belgium were a colony under the control of the Spanish. Spain was a Catholic country which conflicted with the largely Protestant local population, the result was religious persecution inflicted by the Spanish on the locals. This meant many were keen to flee religious persecution. Coincidently at the same time the city of Norwich was facing economic difficulties and was receptive to the idea of Dutch weavers migrating, as it would strengthen Norwich’s textile industry and because new skills and techniques could be passed onto the local populace. In 1565 the city initially allowed 30 households of refugees to migrate to Norwich. Many more followed and by 1579 there were 6,000 of them, the cities population was only 16,000 so they represented over one third of the total population. The Strangers were allowed to live in Norwich with relatively few restrictions placed upon them, however in 1570 members of the gentry led by John Throgmorton staged a failed rebellion against the migrants failing to attract sufficient popular support. 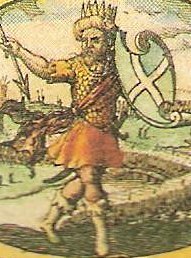 For his part in the rebellion, Throgmorton was hanged, drawn and quartered. A few years previously (1567) the then mayor, Thomas Whall had placed some restrictions on the strangers claiming that they were taking away local jobs. Most of the new migrants were weavers; this is where their influence is best seen. The expertise and innovations they brought over was pivotal in helping Norwich become famous for its textile industry. By the middle of the 18th century the quality of products produced were unrivalled anywhere in the world. The strength of Norwich textiles carried on until the Industrial Revolution when other cities with a greater access to cheap labour overtook Norwich, but the city diversified and continued to be a significant textile producer. It was only in the 1970s that textiles finally stopped being produced in the city. If you are interested in the history of Norwich’s textile industry and the influence of the Strangers then why not pay the City a visit and go to Norwich’s Bridewell Museum where there are some excellent displays charting the its history. Norwich has such a rich and fascinating history so please see Part 2! !